Precision Signs, Inc. : Services : Resources : Our Blog : Precision Signs News! Click on the title of any of the articles below to read the complete blog post. Getting noticed and standing out from the crowd of other businesses in close proximity to yours is an ongoing challenge that we understand well. We encourage our customers to take a look around their business space and discover all of the surprisingly unused areas that can be turned into marketing tools. With our creative design team and expert knowledge in custom graphics, Precision Signs can help you draw in customers who are simply strolling past your window and help you effectively market your brand’s message. Quality banners and signs have a place in your personal life as well. At Precision Signs, we have you covered for those times when you step away from work and into party planning to celebrate milestones for you and your loved ones. 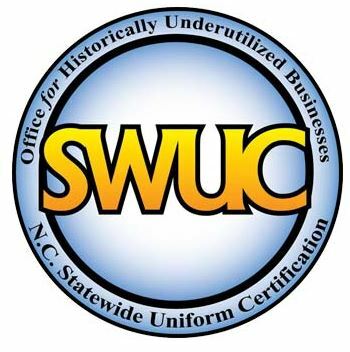 One of the most important concepts for a business owner to pay close attention to is the company’s “brand awareness.” Being recognizable and remembered when a potential customer needs your product or services is essential. One of the best ways to boost your brand awareness in your community is by using custom printed banners and signs in areas that are visible to potential customers. With limited marketing budgets, most small businesses struggle with the endless options available for promoting their products and services. Deciding where to spend your marketing money can be an overwhelming task, especially for a new entrepreneur. One of the many options for promoting and growing your business is attending a trade show, but you may question whether you can actually pull it off and get the most bang for the often big bucks a well-attended trade show costs. Vehicle graphics come in many different shapes, sizes and forms which means that every business is likely to find something that suits their needs. This can range from a simple window design to a large and complicated side panel design. The larger design is more likely to get noticed and more people are likely to remember it but even a small, simple design can be very effective if used correctly. A wrap is a large vinyl graphic or decal. It is applied directly over the original paint of the vehicle. The application of the wrap allows you to change the vehicles appearance in a very short period of time and in turn allows you to remove the wrap, returning the vehicle back to its original condition if necessary. Clients can get very excited about their mobile sign and want to advertise EVERYTHING on their wrap. EEEK! This can be a bad idea. While you have about 30 seconds at a stoplight to make an impression, you have only about 8 seconds driving down the road. 8 SECONDS! With 30k-70k views per day, a partial or full wrap is a great investment for a small business; it’s essentially a moving sign. You want each of those views to be worth the price you paid. 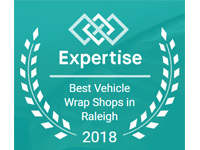 The first step is making sure you have an experienced and knowledgeable company in the Raleigh wrap industry.